We are a family living without health insurance and doing just fine! In fact, I'm very happy that my family doesn't have health insurance. I was first introduced to Samaritan Ministries when I read this post on Shaun Groves' blog about his son's sudden illness and resulting enormous medical bill. And how, even though Shaun's family didn't have insurance, their out-of-pocket costs for the entire bill was just $12. I was amazed! So I looked into Samaritan and discovered that the ministry was a perfect fit for us. We were already struggling with our health insurance premiums (which were paying for coverage with an insanely high deductible), so the decision was easy to make. I did a little more research, talking to a couple of people who had been members of Samaritan for some time, and we signed up a year ago, in December 2007. Since then we've had one "claim" which we submitted to Samaritan, and our bill was taken care of, just as promised! Then in early 2008, my mother joined Samaritan as well, choosing also to drop her health insurance entirely. But then a couple months later she had to undergo triple heart bypass surgery. As the hospital bills started coming in, my father grew a little skeptical about whether Samaritan would come through, especially when the bill finally exceeded $120,000. But they did come through. And my mom's total out-of-pocket expenses for her entire bill were $0. Again, amazing! Needless to say, I'm convinced that for our family, not having health insurance is a good thing. Not only are our medical costs taken care of, but we have the opportunity to bless other Christians through this fantastic ministry. So you see? We're not crazy. And not having health insurance definitely works for us! NOTE: In case you were wondering how Obamacare will affect us, as a member of Samaritan, we're exempt from the new health insurance mandate. Consequently, we won't be fined for not having insurance since we're part of this health care sharing ministry. 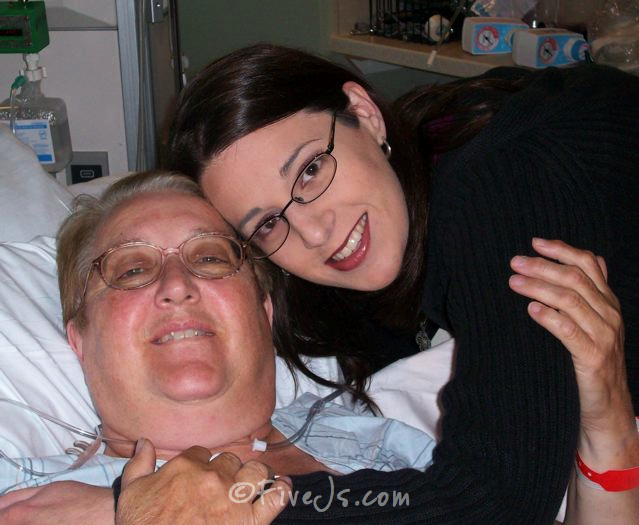 UPDATE (August 2011): We have now had our own experience with large medical bills. On February 26, 2011, my daughter Jerah shattered her femur during a judo tournament. After two ambulance rides, surgery, and five days in the hospital, the bill came to just under $60,000. But we weren't worried at all! We had $25,000 in accident insurance through the judo association, and the rest of the $60,000 bill was paid through our membership with Samaritan. The only things we had to pay for out-of-pocket were the purchase of a walker, wheelchair rental for two months, and one prescription at Target, all of which totaled less that $200. Samaritan members took care of everything else. Jerah will even be having a second surgery in a couple months to remove the titanium rod in her femur, and we are expecting to have zero out-of-pocket for that procedure. Is there any question why we adore Samaritan? Living without health insurance is possible and in many cases better than having insurance. With Christians sharing with Christians we are doing what the Lord says we should do and the end result is always great. WOW!! That truly is amazing. I have heard of them before. Here in Massachusetts it is mandatory to have health insurance so I wonder how that would work. Also, 3 of my kids have the state insurance as there back-up since they were adopted through the state. That sounds similar to Christian Care Medi Share. I was signed up with them for 7 years, but my state, is not allowing them to do business any longer. I was sad that I had to do something else …. I'm so glad you posted this. Our son has no health insurance because of his open heart surgery when he was 5 days old. We just aren't able to get coverage for him even though he has been the most healthy of all of us! Thank you so much! Thanks for posting. I have heard of this, but not in detail. We don't have health insurance anymore since my husband lost his job. I will look into it!!! Health care sharing ministries like Samaritan have a regulatory exemption to the mandate there in MA. Feel free to contact us for more information. Hmmm, I think I'll have to look in to this. I currently have health insurance, but hubby doesn't and he really ought to. Thanks for the info. This is the second success story I've heard regarding Samaritan. It's wonderful to see how blessed you are, you have provided hope with this post, which the world could use a lot of right now. Samaritan has definitely been a blessing to us! Hey Joy, tell me how this works…what about routine visits and checkups etc.? We are paying a ridiculous amnt. each month right now for insurance for the 5 of us and Samaritan sounds great. Sorry…forgot to put full name and email on the last comment!! !